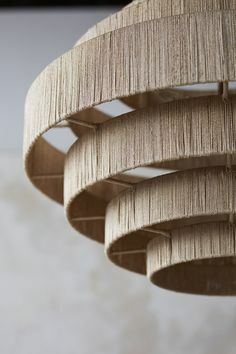 PALECEK EVERLY PENDANT Natural abaca rope finely woven over a powder coated metal frame. Pendant comes with a taupe finished chain and canopy hanging kit. Professional installation recommended. Next entry Idée déco - Suspendez nos photophores LED en papier japonais - papier peint "au fil des couleurs"